Baierl has 70% of the best brands at 100% of the best prices, including Acura, Cadillac, Chevrolet, Chrysler, Dodge, Jeep, Ram, Ford, Honda, Isuzu, Kia, Toyota, Scion and Subaru. 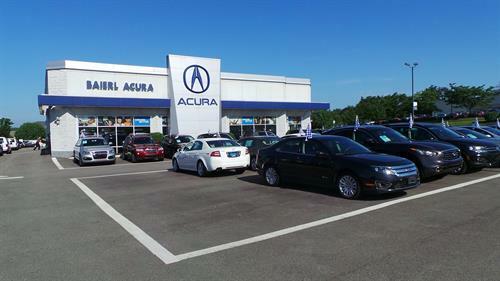 We also offer a wide variety of used vehicles, including Certified Pre-Owned and budget cars. Our Truck Depot has an extensive inventory of work vans, trucks and commercial vehicles, as well as custom options and vehicle maintenance.